When Campbell Remess was 9 years old, he asked his parents if he could buy Christmas presents for the children in his local hospital. His mother told him that it would cost too much. But Campbell, one of nine children whose family lives on the Australian island of Tasmania, was undeterred. He took matters into his own hands — literally. He founded Project 365 by Campbell, and using his mother’s sewing machine, started crafting one-of-a-kind teddy bears to give to sick children in the hospital and around the world. 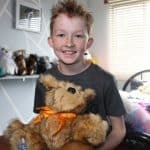 Now 13 years old, Campbell has made between 1,200 and 1,400 bears by hand. This year, he began auctioning some of his bears and using the proceeds to send children and their families on “Kindness Cruises,” a much-needed escape from their battles with cancer. Campbell is also working on organizing a fundraiser dinner in Hobart for cancer research. Most 19-year-olds don’t know how to code or build robots, let alone teach others. But that’s exactly what Christina Li is determined to do through Hello World, her annual computer science camp for middle school girls. Christina started her free, weeklong classes as a high school junior in Macomb, Michigan. Today, each camp hosts about 30 girls, in the hopes of bridging the gender gap that exists in STEM fields (science, technology, engineering and math). 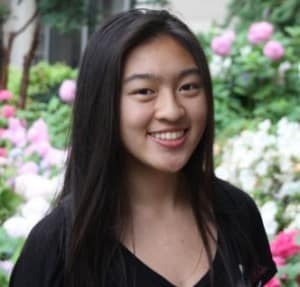 Now in her sophomore year at Stanford University, where she is studying computer science and mechanical engineering, Christina will be interning this summer at SpaceX, a company that strives to enable people to live on other planets. Nickelodeon’s HALO Effect, and Amy Pohelor’s Smart Girls! 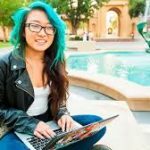 Christina Li is a sophomore studying computer science/electrical engineering and mechanical engineering at Stanford University. Currently at Stanford, she’s working on the Mars Rover robotics team as the mechanical co-lead. 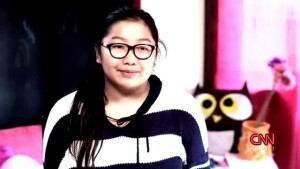 Christina created Hello World four years ago to teach young girls how to code websites, robots, apps, and games, to help them say “hello” to the world of computer science. 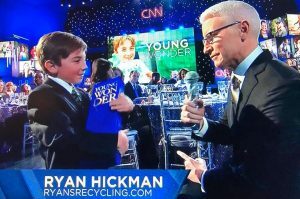 In 2016, Ryan’s recycling story went viral and he was featured on web sites and tv and radio stations around the planet. 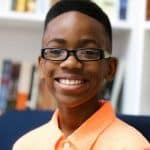 He’s a 2017 CNN Young Wonder, he’s appeared on the Ellen DeGeneres show and was interviewed by Maria Menunous on Sirius/XM Radio as well as Ryan Seacrest’s radio program and featured on the KFI AM 640 Bill Handel show NBC, CNN, CNBC, PBS, FOX News, Amazon Prime’s SELF MADE series, Australia’s Channel 7 Sunrise morning show, Huffington Post, Voice of America, AJ+, UpWorthy, NOW THIS!, 60 Second Docs, AOL Finance, USA Today, Univision, Good Morning America, ABC World News and hundreds of ABC affiliate news stations around the world. (He even got a shout out from DELL, Adrian Grenier, Chelsea Clinton, George Takei, Fabien Cousteau, GreenPeace, Congressman Darrell Issa and Oakland Raiders QB Derek Carr on Twitter). Ryan has been recognized internationally for his recycling efforts and has received awards from The Daughters of the American Revolution, The County of Orange and The Pacific Marine Mammal Center as well as and the City Council of San Juan Capistrano. Ryan was awarded the “2017 Citizen of the Year” by his hometown of San Juan Capistrano. Thank you to everyone who have sent Ryan encouraging emails and supporting his passion. Ryan is saving for his future college education (although he’s determined he’s saving for a full size trash truck) and he is a Youth Ambassador at the Pacific Marine Mammal Center in Laguna Beach. All proceeds from his company logo t-shirts go to help support their volunteer efforts. Ryan is also a brand ambassador for the recycling and sustainability efforts of Valet Living. People ask all the time what kind of items that Ryan recycles. Ryan collects plastic and glass beverage bottles as well as aluminum cans. Ryan and his parents take them in by the truckload every few weeks to the local redemption center where they are unloaded, sorted and weighed. If you’d like to help Ryan and help the environment at the same time, contact him here to schedule a pick up. Thank you to all of Ryan’s customers and friends and family who have supported his ambitions and hard work recycling since he started his business. Special thanks to Allison Jarrell at the Capistrano Dispatch and Scott Montgomery for letting us use your photos for Ryan’s site. 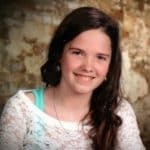 In September of 2012, at the age of ten, I started Kylee’s Kare Kits for Kidz, Inc to help children who did not have enough food at home on the weekends. I had noticed that there were many children eating breakfast at my school each day and asked my grandmother why this was. We spoke with my school principal and began to research ways that we could help these children. We currently provide food every weekend for children in the Leominster public school system. Each Friday the children receive a kare kit that includes cereal, juice, fruit cups, applesauce, pudding, macaroni & cheese, Chicken noodle soup, Chef Boyardee or Spaghettio products, granola bars, fruit snacks, peanut butter crackers…. The contents of the kare kits vary week to week depending upon what we can purchase on sale or what may have been donated that week. 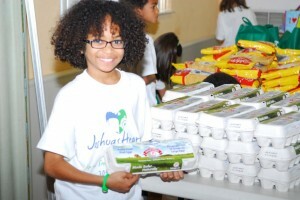 My original goal was to be able to provide food for 10 children each week. With the support of family, friends and our community we are now providing food to over 300 children on a weekly basis. This has been such a heart warming experience for me. Thank you to everyone who has helped me to help these children!! A child’s dream is to play with bricks forever. A brick’s dream is to be played with forever. Our mission is to make both dreams come true. BrickDreams is a charity that changes lives. We collect, clean, and redistribute LEGO bricks to children in need. Any and all LEGO is appreciated. We were founded on May 7, 2012. One might ask, “Why LEGO bricks? Why not other toys?” It is because LEGO stimulates the mind. They allow children to learn, and use their imagination. It is possibly the only toy where a child of any age can build a car, then take it apart and build an airplane, a house, or whatever their imagination desires. Who wouldn’t want that for a kid? In addition to LEGO bricks, we would also greatly appreciate donations packing tape used to package the LEGO. My name is Lleyton Rutz and I am 14 years old. I was excited to be asked to take over the charity Bailey began. I believe in BrickDreamsmission and I like the opportunity it gives me to communicate with adults and do good things for other kids. My name is Kyle Rutz and I am 14 years old. I am excited too and think I can do a lot to make sure BrickDreams has all the tennis ball cans it needs. I am a great LEGO sorter too! Kaitlyn Martinez, 13 year old student created Backpacks 4 Kids AZ in the summer of 2015. 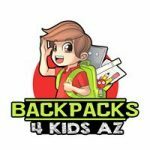 Now as of November 10, 2016 Backpacks 4 Kids AZ is an official 501 (c) 3 non-profit organization. Backpacks 4 Kids AZ collects school supplies and backpacks for children whose families cannot afford them and now we are expanding our efforts in making “Love Bundles” for kids entering foster care. Donate hygiene products, toys, blankets, or backpacks to one of our donation sites so we can help the children who have been displaced due to neglect, abuse, abandonment. 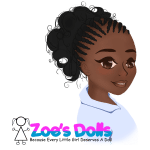 At age 5, Zoe Terry created her own organization called Zoe’s Dolls to inspire and motivate girls of color to love themselves. 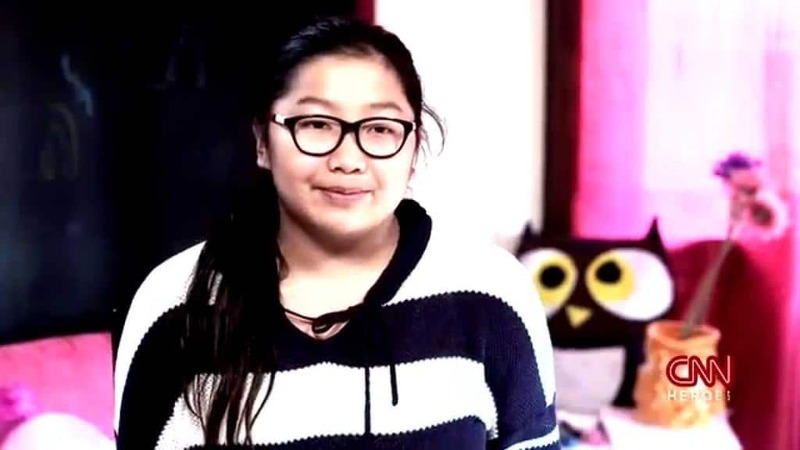 She promotes positive body image by holding her “Love the Skin I’m In” Creative Expressions Contest, where she encourages girls to submit a poem or video on why they love themselves. Since launching Zoe’s Dolls, she has donated more than 2,000 dolls of color to girls in need. When Zoe was younger, her mom would teach her the spirit of giving by asking her to give away one of her toys at Christmas time. Right before Zoe’s 6th birthday, she told her mom that she didn’t want to give a toy away at Christmas anymore. Zoe exclaimed that instead of giving a toy away at Christmas, she wanted to do something totally different. Zoe said that for her birthday she wanted to give little brown dolls to little brown girls who did not have dolls to play and that was all she wanted for her birthday! This was the start of Zoe’s Dolls! Hailey Richman: My name is Hailey, I am 8 years old. My grandmother has Alzheimer’s disease. I have been caring for my grandmother since I was 4 years old. I created Kid Caregivers for kids who are caregivers. A caregiver is someone who takes care of a loved one who needs help. I want other kids to know that they are not alone; there are many of us out there! Please visit my blog to get support, tips and ideas about caregiving. If you have a question please share it and together we can find a solution! Mariah Smith was born and abandoned on Christmas Eve 22 years ago, from Homeless to Helper Mariah is the founder of a rapidly growing Homeless ministry. Mariah started this organization in October 2011 when she was 17 and has already distributed over 110,000 blankets and lunches to people living on the streets, as well as coats, hats, gloves, clothes, shoes, backpacks, tents, toiletries and anything else they need she always finds a way to get it for them. Mariah has numerous speaking engagements at schools, businesses, organizations, and every Sunday she speaks at a different church encouraging THOUSANDS to join her on her mission to help as many people as she can. 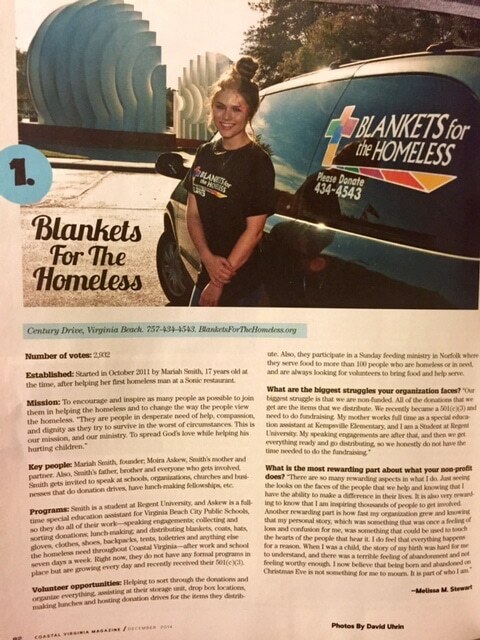 Five nights a week Mariah distributes 50 blankets and lunches along with all the other desperately needed items to people living on the streets not fortunate enough to get into shelters. We will come and pick up any items donated and distribute them. We are also asking that everyone make a “Blessing Box” to keep in their car with five non-perishable lunches, blankets, clothes, hats, gloves, toiletries, and other desperately needed items so you can immediately help someone in need. You can make a difference! We all can! — Remmi Smith, 14, of Tulsa, who has published a cookbook and has a line of Italian salad dressing at some local supermarkets. Cook Time with Remmi started out with my mom and I having some fun and filming me cooking in our kitchen. We put up a website and started airing the segments. Concerned about the childhood obesity epidemic we wanted kids to see that cooking is fun. Eventually a local cable channel started airing the cooking segments multiple times a week. This led to a second cooking series,”The Culinary Kid” and we partnered with Oklahoma State University Arts Program (OSUIT) to create a show where Remmi learned cooking methods that are similar to the ones the students at the OSUIT Culinary Program learn. 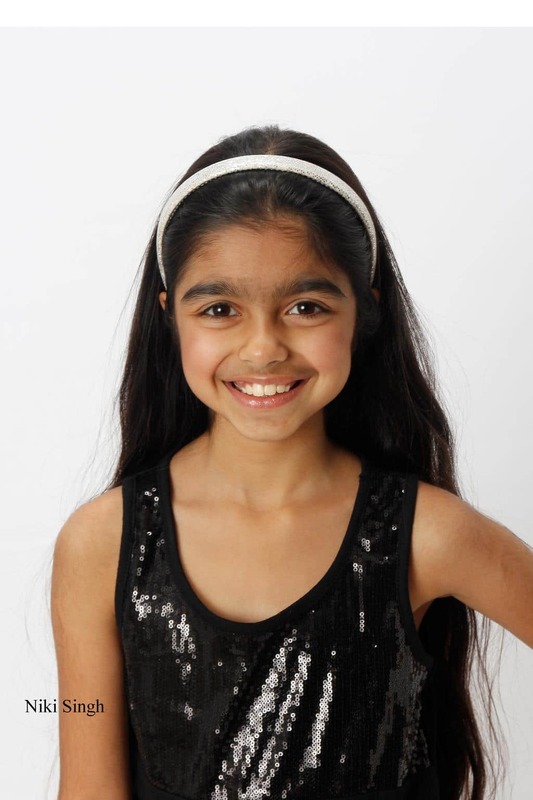 Niki Singh is a 10-year old (4th grader) Indian American girl who has been dealing with bullying, self confidence and self worth issues. To this end, she has written a song entitled, ” My Reflection.” The song is about the importance of inner strength/self confidence (inner beauty) and less about about outward appearance. She wrote this song as she was talking to herself in the mirror. The words are truly empowering for other kids and frankly for a 10 year old, surprising in terms of her ability to express her feeling so eloquently in a lyrical form. She wrote the entire song from lyrics to melody to the arrangement. Her goal for this song, and one of the reasons she went to a studio to record it, is to help other kids realize they are not the only ones who feel insecure at times or feel “down.” Niki’s quote,” Papa, if one kid who is feeling down, listens to this song and starts to smile, I will feel like this song is worth something.” Her goal is to spread that message and encourage kids to focus on who they are inside. We believe that a community effort is vital for the success of our mission to end hunger. We collaborate and build relationships based on trust and honest communication to accomplish our vision of a hunger-free community. With local action, you can have a global impact. With close to 50 million Americans struggling to get enough to eat, it’s important to increase awareness about these issues. We send out transparent and accurate messages about our cause, highlighting the urgent needs of those struggling with hunger. Help support the Joshua’s Heart Foundation cause by using social media to share our vision and stories. We are working hard to mobilize support for hunger relief programs and activities. The majority of our work force is composed of volunteers. Solidarity and collaboration are key to our success. It’s important to teach future generations not to make the same mistakes we did. We work on early childhood and youth education programs to break the cycle of poverty. We rely on the generosity of the American people to carry out our charitable work. We assess and evaluate how resources are used achieve our mission on a regular basis. Our efficient and transparent accountability has granted us the public’s trust in our work and stewardship. 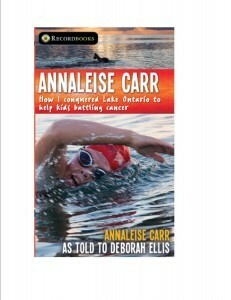 My name is Annaleise Rebekah Carr, and I am a 16 year old marathon swimmer from Walsh, Ontario in Norfolk County. On August 19, 2012, I became the youngest person to swim across Lake Ontario, with the goal of raising money and awareness for Camp Trillium. I’ve been swimming competitively since I was 4 years old. I’ve competed at long and short course provincials, as well as open water provincials, and also at the provincial lifeguard games as a member of the Town of Tillsonburg Lifesaving Club and in triathlons. I’m not very tall (4’10”), but huge in heart! Camp Trillium has been close to my heart since I visited their camp at Rainbow Lake in the summer of 2011, as part of the North Shore Swimmers, completing a 10 km open water swim and 10 km run through Norfolk County. We raised around $15,000 for Camp Trillium, and my visit there has been forever etched in my memory. On Sunday, August 19, 2012, I finished crossing Lake Ontario, following the traditional Marilyn Bell route from Niagara-on-the-Lake to Marilyn Bell Park near the CNE in Toronto (considered one of the most difficult open water swims in the world). I became the youngest person to complete the swim, as well as the youngest person to join the “24 Hour Club,” which includes all swimmers who do a marathon swim for 24 hours or longer. My crossing took an incredible 26 hours and 41 minutes through grueling and wild conditions. Over eight months worth of planning, hundreds of hours of hard physical training, amassing a team of dedicated crewmates, approaching sponsors and collecting donations — and finally, swimming for twenty-seven hours across the cold, rough waters of Lake Ontario. Why would a fourteen-year-old girl take on such a challenge? For Annaleise Carr, the motivation came not from a desire for glory. Her ultimate quest was to raise money for her new friends at Camp Trillium, a charity that provides a camping experience for kids with cancer. What kept her going through the cold water, the exhaustion, and the terrifying night swim was the thought of those kids and their families that she was helping. In August of 2012, she became the youngest person to cross Lake Ontario, breaking the record set more than fifty years earlier by Marilyn Bell. For more than nine years, through kids’ classes and summer camps at NJ Bergen-County based HealthBarn USA; at our elementary and middle school “Try it, you’ll like it!” school assemblies from New York to California; in national appearances such as the Rachael Ray Show and CNN’s House Call with Sanjay Gupta and on networks like PBS and Nickelodeon; speaking engagements from parent teacher organizations to major medical conventions; and through our website, columns and articles, we have been committed to helping families raise their nutrition literacy through hands-on learning about where our food comes from, and why fresh tastes best and is best for our bodies, minds and souls. As a result of 9 years of empowering 40,000 kids and families to eat and live healthier, our founder, Stacey Antine wrote Appetite for Life: The Thumbs-Up, No-Yucks Guide to Getting Your Kid to be a Great Eater, HarperOne, an imprint of Harper Collins, fall 2012 nationwide in hardcover (soft cover will be on sale fall 2013) and as an eBook. We know parents need proven how-to tools (including 100 kid-tested, familiy friendly recipes) to get their families living healthy and Appetite for Life serves it up simply and with a lot of fun. 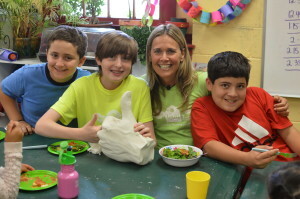 Click here to hear what moms and kids have to say about the HealthBarn way. Stacey Antine is a registered dietitian who holds a Master’s of Science in Food, Nutrition and Dietetics from New York University. Alarmed by the long list of lifestyle diseases (obesity, heart disease, diabetes, etc.) 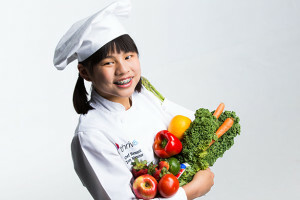 faced by children today, she founded HealthBarn USA to connect children to natural foods and where they come from. Expanding her commitment to help families eat healthier, she started HealthBarn Foundation and it’s first project Healing Meals, a food gifting program for children with cancer and serious blood disorders. Jamie, former President and the originator of KAC. Jamie feels that it is important to keep your inside healthy so that you can do all the activities that other kids can do. He’s now attending Bergen Academies. We’re very proud of him and look forward to his guest appearances at the Barn. 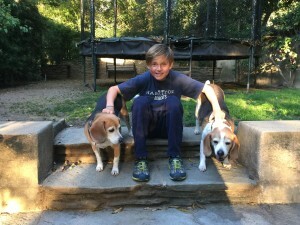 Carson,President, age 11-the council has officially elected Carson the president of KAC for his seasoned leadership. His smile and excitement for what’s happening at HealthBarn USA and for making new friends is contagious! He loves learning and building things, so constructing a rain barrel for the garden was one of his favorite activities in addition to cooking and eating all of the recipes. At home, he likes to help his mom cook his favorite recipes and is active by being super busy. He’s excited about being on the Council to come up with new ideas to get kids motivated about being healthy because it’s fun. 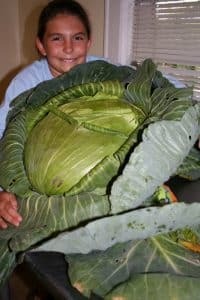 Ben, Executive Chef, age 9 began his cooking career at HealthBarn USA when he was only three years old as a Seedling. He came back to the Barn when he was 9 years old as a Young Harvester and summer camper. Ben is blazing new trails as he develops exciting healthy recipes that continue to get double thumbs up from his peers. He thinks of HealthBarn as a second home. His favorite activity is cooking and harvesting from the garden. His top garden picks are zucchini, lettuce, and herbs and his favorite HealthBarn USA recipe is the Chocolate Chickpea Chippers. He says that when he makes the chippers for his family at home they don’t even know that there are chickpeas in them which he thinks is really cool. Ben wants to inform other kids how important living a healthy life-style is and how easy and tasty eating healthy can be. Lauren, Expert Taste Tester, age 9, has been coming to summer camp for 3 years along with her brother Robert. She really enjoys cooking and tasting different types of food from different cultures. She especially likes Japanese food and lists salmon sushi as one of her favorite foods “ever.” Lauren loves acting and singing and for the past couple of years has participated in a youth performance troupe for a local community theater. For exercise, she enjoys running, basketball and tennis. Lauren has learned so much at HealthBarn USA. She is now a label reader and thinks it is important for kids to know what they are eating, especially if you can’t pronounce the ingredients then you shouldn’t be eating it. 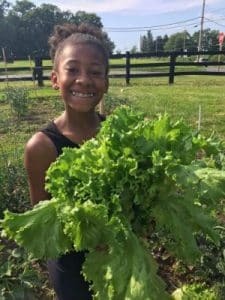 Lauren enjoys spending time in the HealthBarn USA garden and looks forward to many summer camp days to come! Fifteen-year-old Winter Vinecki began making waves in the sport of triathlon at a very young age. 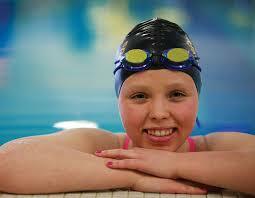 Racing since the age of five, her competitive spirit has compelled her to be the best. By the age of nine, she found herself competing in an Olympic Distance triathlon; a distance usually reserved for seasoned adult triathletes. Winter initially had thoughts of racing as a means of bringing light to the growing epidemic of childhood obesity. This all changed one spring morning, though. In May of 2008, Winter experienced personal hardship that would prove to be the defining moment in her life and career as an athlete. After a series of medical tests, her dad, Michael, was diagnosed with a rare and aggressive form of prostate cancer. The grim prognosis was met not only with sadness but also with determination. Winter vowed to do everything in her power to put an end to prostate cancer and help find a cure so that other families wouldn’t have to endure the personal hardships that her family was going through. Thus, Team Winter, a 501 (c) 3 nonprofit, became her true cause in which to race for. It has become a vessel for funding prostate cancer research and raising prostate cancer awareness on a global scale. Winter has helped raise nearly $500,000 for prostate cancer awareness and research. After the passing of her dad in 2009, Winter traveled almost every weekend to races in which she, her three brothers and her mom, Dr. Dawn Estelle, spread the word about Team Winter and prostate cancer awareness. She spent three years as the IronKids Ambassador introducing kids to the sport of triathlon and encouraging kids to lead an active, positive and healthy lifestyle. She encourages kids to not only race for themselves but to race for cause. Each first place trophy she received was sent to a person affected by prostate cancer as a means of support and a gesture of goodwill. While most kids cherish their trophies, she cherishes the people she gives them to. Winter has an intense interest in helping find solutions to today’s growing obesity epidemic and speaks in schools across North America about “Fueling Your Body for Success”. She is a motivational speaker to all ages around the world and her talk on “No Limits” has reached many hospitals and corporations. She has received such prestigious awards as the Annika Sorentstam Inspiration Award and Massachusetts General Hospital “The One Hundred’ award in 2014. After achieving two National triathlon titles in 2010 and 2011, Winter set her goals much higher. On November 10, 2103, Winter realized her dream and set a world record, not for her personal glory but to honor her dad and the 1 in 6 men affected by prostate cancer. Winter became the youngest person to run a marathon on all seven continents! In doing so, she also set a world record for the youngest person to run a marathon in Antarctica and with her mom, became the first mother/daughter to run a marathon on all seven continents. Winter captured her first marathon overall female win on what is claimed to be, “The Toughest Marathon in the World,” the Inca Trail Marathon. Winter ran the entire Inca Trail, including three mountain peaks reaching over 14,000 feet, in just 9 hours 18 minutes, setting a course record. Winter continues to stay strong in triathlon and captured the 2013 age-group Regional title in XTERRA. In her first season of obstacle course racing with Spartan Race, she captured a 19 & under world championship victory and is a top elite women contender. Winter’s next goal is making the 2018 Winter Olympics in aerial skiing. She lives and trains year round in Park City, Utah at the Utah Olympic Park She is the current 2014 Jr. National Champion in aerials and took 5th at the 2014 Jr. World Freestyle Championships in Italy. Winter continues to seek avenues in breaking age and gender barriers in endurance sports. 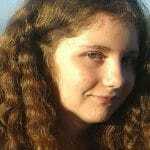 Winter is currently a Junior at the prestigious Stanford University Online High School. In 2008, when I was a mere 5th grade student, I came across the increasingly devastating issue of climate change. I found out that the main cause of this global problem was human consumption of fossil fuels. We were burning so much coal and oil that our world was, and is, literally heating up. Of course, as a young girl in this big world, I was absolutely horrified. After further research, I discovered that the consequences of climate change were huge – melting ice caps resulting in rising sea levels, countless species such as polar bears forced into extinction. But what did this mean for me? I live in a small coastal town in RI called Westerly, five minutes away from the ocean. If global warming was allowed to continue at its current rate, parts of my own town and many other regions could be eventually submerged underwater! Well, that decided it. I promised myself that I would do everything in my power to try and stop this rising problem. My next step was to rally my classmates to action. I got together with a group of my friends and we formed a community service team dedicated to helping the community and environment at the same time. We called ourselves the Jr. WIN (Westerly Innovations Network) Team, a name modeled after the original community service team initiated by my older brother. We sat down at a round table, figuring out what we wished to accomplish. What could we, eight ten-year-olds, do to help solve this issue? We already knew that global warming could be slowed down by replacing fossil fuels with alternative energies, such as biodiesel. Following this, we visited the Energy Solutions Expo at the University of RI, where we found that biodiesel could be produced from waste cooking oil. But what finally brought us to a revelation was an article in the local paper. The article was about a local charity in our area called the WARM (Westerly Area Rest and Meals) Center, which had initiated a campaign titled “One Dollar Makes A Difference”, in which residents donated $1 each week to go towards emergency heating assistance. We were astonished by this realization – people in our own community were struggling to heat their homes in our harsh New England winters. Surely, we thought, we could help these needy families. And then, a solution came to us. This solution became Project TGIF – Turn Grease Into Fuel. Project TGIF is an innovative system that collects grease, converts it into biodiesel, and then distributes the fuel to local families for emergency heating assistance. To make this project work, we partnered with many companies, such as grease collectors, biodiesel refiners, biofuel distributors and charities that help us identify the needy families. We raised awareness of global warming by handing out 6,300 flyers, 4,500 kitchen calendars, airing a PSA with COX Media and making presentations. Then, we lobbied our Town Council to set up a grease receptacle at the transfer station where residents could recycle their oil. To date, we have set up 10 public receptacles in 6 towns/cities and 2 states. We asked local restaurants to donate their grease to the program. So far, we have 120 restaurants and counting participating. We even drafted and helped introduce a bill in RI, which mandates that all businesses must recycle their grease (the bill was signed into law in July, 2011 and went into effect on Jan 1, 2012). Our project is a win-win situation. The environment wins because we’re using biodiesel, a clean-burning alternative to petroleum-based diesel, to heat homes. By the EPA’s calculations, we’ve offset 2 million pounds of carbon dioxide from entering the atmosphere. Finally, the needy families win because they’re being provided with heat. We have donated 21,000 gallons of Bioheat (approximately $81,000) to six local charities, allowing 210 families to stay warm in the winter. Additionally, in December 2012 we launched a campaign titled You Eat, We Donate to help rebuild our local beach after the devastating Hurricane Sandy with the help of several of our corporate sponsors (such as Prudential and Build-A-Bear workshop). In the campaign, we pledged to donate $20 to the Bring Back the Beach fund in our town for every receipt we received from customers dining at TGIF participating restaurants. The response was overwhelming, and we were able to donate $11,000 to the fund in January 2013. So far project TGIF has participants in Rhode Island, Connecticut and Massachusetts; we plan on expanding project TGIF to all six New England states in the next 5 years. My success story proves that a simple passion – in my case, the environment – can go a long way. I really believe that youth are the changemakers, the leaders of today and tomorrow. I started my project with my friends when I was in 5th grade. So I want to challenge you all to find what is it that you’re passionate about, that makes you excited and motivates you. It can be anything, whether it is volunteering, sports, reading, anything! I challenge you to go out and do it. Use your energy for good. Who knows, you might even change the world! One More Generation (OMG) was founded by two elementary students here in Fayetteville, GA. The founders are Carter (now 13) and his Sister Olivia (now 11.5), who are both extremely passionate about animals and conservation. They have been adopting Cheetahs in South Africa over the past few years and when they heard that Cheetahs, along with so many other species were close to extinction, they knew they had to act. Olivia and Carter started their own nonprofit in an effort to help educate kids and adults about the plight of endangered species so they can save them for at least One More Generation… and beyond. 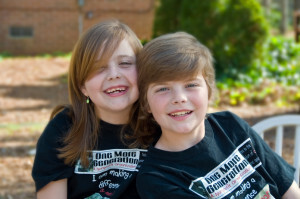 One More Generation (OMG) was formed in late 2009 and officially filed with the state of GA as a nonprofit in January of 2010. OMG was granted their 501(c)(3) status by the IRS in May of 2010. So they picked up the phone and contacted the four largest agencies involved with the animal rescue efforts. Each of the agencies gave them a list of badly needed animal rescue supplies. The two kids spent the next four months going from church to church, and from school to school giving presentations and asking for help collecting the supplies. Then in late August of that year (on Olivia’s eighth birthday) the two kids headed to the Gulf to deliver the supplies. They spent 5-daysin the region and worked with the Marine Mammal & Sea Turtle Rescue Center who gladly accepted the collected supplies. The center had 146 sea turtles, several sharks and even a dolphin, all of which needed their care. The kids had a blast working at the center and meeting all the dedicated staff and volunteers who worked so hard to save these animals. In Feb of 2011, on Carter’s 10th birthday, we launched our Plastic Awareness Coalition and we set out to get like minded local organizations to sign on with us so we would have enough clout to request meetings with local officials without being looked at as a mere kids group. Then, realizing that the wheels of change within the political arena turned slow, Carter and Olivia asked if we could somehow reach out to kids to share with them all that we had learned. After all, if we all care so much after learning about the problem, surely their peers would do the same. So in March of 2010, we developed our Plastic Awareness Week curriculum. We partnered with several teachers who helped us write the curriculum and then we set out to test the program in Olivia and Carter’s school. The school was kind enough to let us use them, as our testing grounds and the program was a huge success. All the kids and their families got involved and everyone learned a ton of information about the issue and we even included helpful and easy ways each student and their families could make subtle changes in their daily lives, which would make a huge impact on the environment. ~Provide resources and support groups for children with Pancreatitis as well as their families. Risha Shukla then a 7 year old who underwent an Auto Islet Cell transplant in March 2004 for chronic pancreatitis, understands very well the challenges of being in the hospital room and staring at the bare white walls. 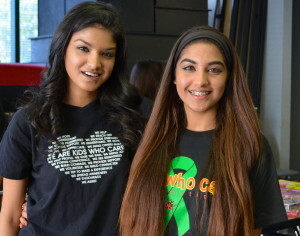 The Kids Who Care Foundation, a 501c3 tax deductible non-profit foundation, was founded by Risha with the help of her parents to cheer up and support other children with pancreatitis and other chronic medical conditions. Kids Who Care’s mission is to brighten the hospital stays of kids having major surgeries. Kids Who Care volunteers send out “smile packs” to children in the hospital and Ronald McDonald Homes nationally to brighten the days of hospitalized children. A “smile pack” box contains a giant “card quilt” consisting of twenty get-well cards made by caring youths. It also includes books/DVDs, toys, board games, and more to entertain patients in the hospital, bring a smile to their face, and make their hospital rooms bright and cheerful! Kids Who Care’s traveling variety show is also a big hit. Caring youths show off their talents to entertain children with special medical conditions by doing magic tricks, puppet shows, dancing, singing, and more. Risha also makes presentations at schools to educate kids on pancreatitis and diabetes, and teaches kids to be compassionate towards children with chronic medical conditions. Pancreatitis is a very painful, rare disease in children for which there is no cure. KWCF’s online pancreatitis support group provides information on pancreatitis to create awareness and a support network for kids. 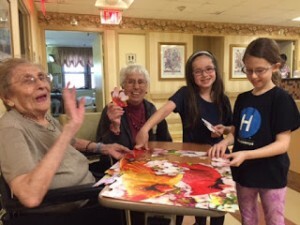 Kids Who Care Club is headed by youths under the direction of caring adult volunteers, and entire families can contribute to help bring a smile! 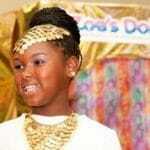 So please help Risha and Kids Who Care Foundation make a difference. Risha and Rhea’s story teaches us all that there is always time for valuing and helping other people within our communities when one has the drive and wisdom to persevere. She is proof that dedication, altruism, love of community, and spiriting help for those who are fighting medical battles, all are goals that we can attain if we just say, “Yes! I Can Bring A Smile.” Risha has been fortunate to not only make a difference in other people’s lives but has received many recognitions. This is a grand honor not only for Risha, who is extremely humbled and overwhelmed by all of this attention, but for all of us who are part of the family of volunteers for the Kids Who Care Foundation, we are very proud to have such an aspiring young co-founder as our leader. In so many instances, the costs of medical treatments can be a real hardship on families, especially when it is necessary to be away from home for many weeks or months depending on what type of care is needed. The University of Pennsylvania Proton Radiation Therapy Center is one of the most advanced treatment centers in the world and specializes in treating children and teens with brain tumors. Patients come from around the country and the world for specialized treatments. However, the daily treatments that last six to eight weeks often require families to relocate away from home for an extended period of time and to incur additional living expenses without insurance coverage for these costs. Many organizations focus on raising money to donate to research activities to find a cure to many health issues. These efforts are wonderful and very much needed but I’m looking to do something different with my efforts. The Carter N. Bowman Foundation is focused on providing kids and their families the opportunity to enjoy activities, at no cost to them, while undergoing extended cancer treatments away from home. The real goal is giving kids the chance to take a break from the grueling routine of treatments, testing and appointments and provide a stress-free way to let them just be kids! By working with the staff at the proton therapy center to recommend eligible patients, they and their families could receive free tickets to visit the Philadelphia Zoo, go to a professional sporting event, receive tickets to visit a museum or art gallery, spend a day at an amusement park or enjoy a nice family meal without worrying about the cost. The list of opportunities is practically endless! 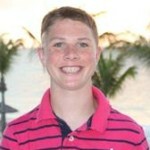 My name is Carter Bowman and I am the founder of the Carter N. Bowman Foundation. 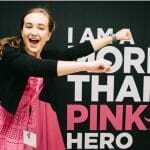 I’m a freshman at Central York High School in York, PA. My foundation is a non-profit organization designed for the sole purpose of helping kids. I am working to raise money to help kids have some enjoyable times while having treatments at the proton radiation treatment center in Philadelphia. . In 1994 over 1,000,000 Rwandan Tutsi’s were killed by their neighboring Hutus within 100 days. Over 1,000,000 children were orphaned in one of the world’s worst tragedies in history. 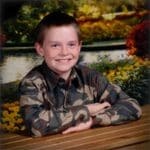 In December of 2012 JT Lewis lost his little brother, Jesse Lewis in the Sandy Hook Elementary massacre. Reeling from this personal tragedy he had the opportunity to Skype with orphan genocide survivors who had heard about the shooting and wanted to reach out to JT. During the Skype call they told him that they were so sorry about what had happened to his brother and they shared their personal experiences of heartbreak where they watched many of their family members die. They told JT that through gratitude, forgiveness and compassion they have healed and are now leading lives filled with hope and joy. This started JT on his own healing journey and inspired him to give back to the people from around the globe that had reached out to him in love. Knowing that these now young adults had no hope of going to college, JT set out to raise money to make their dreams come true. Several months after he began fundraising he was able to Skype back to the same group and announce that he had raised enough money to send one of them to college for a year. He has made the personal commitment to send this person to college for the remaining 3 years and hopes to do more. 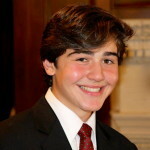 Nicholas Lowinger: I was inspired to start Gotta Have Sole Foundation because at a very young age I saw children in homeless shelters in Rhode Island who didn’t have shoes or had shoes that were used and falling apart. Some had to share footwear with a family member and missed school because it wasn’t their turn to wear the shoes that day, and others had sores on their feet from wearing shoes that didn’t fit them properly. I was devastated by this and wanted to help the children however I could. I started donating my gently used clothing and footwear but often didn’t have the correct sizes for the children. I knew that the only shoes that would fit them best would be new, correctly sized ones and hoped someday I would be able to donate these. Several years later as a community service project for a religious coming-of-age ceremony, which took place in 2010, I started Gotta Have Sole Foundation so I could finally donate new footwear to homeless children. I am proud to say that even though this ceremony has long since passed, I continue this endeavor and have donated new footwear to over 7000 children in homeless shelters in 12 states throughout the United States. My goal is to reach as many children living in homeless shelters in the US as I can. Alyssa’s Bedtime Stories is a non-profit organization that brings happiness to underprivileged children by giving them books to read and pajamas to keep them warm. Places receiving Alyssa’s Books & Pajamas are Milagro House, Clare House, Domestic Violence Services of Lancaster County, and many more. Books open the doors of our imagination. For children without a home, reading is more than just a pastime; it’s a window into a better world. When Alyssa Deraco was just 10 years old, she wanted to share her own love for reading while helping those less fortunate. When she began collecting used books and donating them to local organizations that help these children, Alyssa’s Bedtime Stories was born. 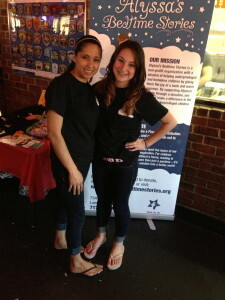 Four years later, Alyssa’s Bedtime Stories is still helping underprivileged and homeless children. Since 2009, we’ve given more than 10,000 books and more than 3,000 pairs of pajamas to children in need. But our mission is far from over…because as long as there are children that need comfort, affection and love, we’ll be there to bring joy into their lives. 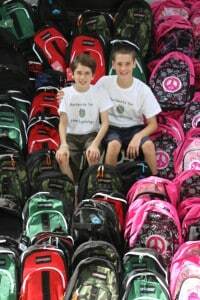 Backpacks for New Beginnings (BP4NB) is a non-profit charity founded in 2009 by West Roxbury brothers Jackson and Tristan Kelley, currently ages 14 and 12. The brothers run the charity out of their home with the help of their parents and younger sister, Violet. 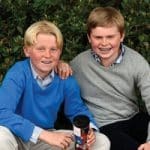 In the Fall, Tristan will be in the 6th grade at the Holy Name Parish School, and Jackson will be in the 9th grade at Xaverian Brothers High School. BP4NB is dedicated to improving the lives of underprivileged children including those in foster care, group homes and those who are homeless, by providing them with new backpacks filled with school supplies. When a child receives a new backpack filled with school supplies, it allows them to feel special, fit in with others, and start the school year prepared. Over the past 5 summers BP4NB has donated over 2300 new backpacks filled with school supplies, including over 800 this summer, to needy children in the Boston area. 100% of all donations are used to buy new backpacks and school supplies which are purchased on sale and in bulk in order to make donations go farther. All operating costs (stamps, printing, government fees, etc.) are funded by the Kelley Family.